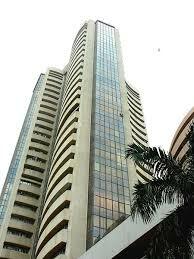 The markets opened on a flat note today backed by mixed global cues. However the markets tuned volatile ahead of the F&O expiry today. The IT and Auto stocks edged higher in the opening trade. While Metal, Realty, Capital Goods and Power stocks were under pressure. The broader market indices are also witnessing some selling pressure in the early trade as both the BSE Mid Cap and the BSE Small Cap indices are now trading lower. The BSE Sensex is trading down by 73.83 points or (0.49%) at 15,099.63 and the NSE Nifty is trading lower by 34.90 points or (0.77%) at 4,478.60. The BSE Mid Cap decreased by 30.13 points or (0.55%) to 5,446.96 and the BSE Small Cap fell by 7.60 points or (0.12%) to 6,147.15. The Overall market breadth is negative as 811 stocks are advancing while 848 stocks are declining and the 54 stocks remained unchanged on BSE.